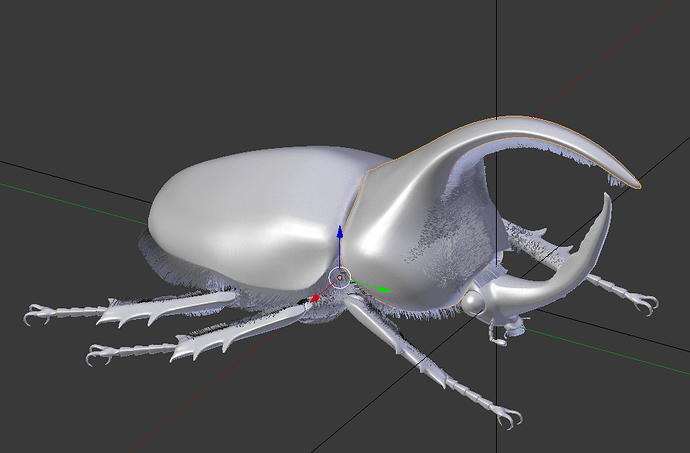 To be honest I didn’t expect a beetle from the topic’'s name Great job, very realistic texturing. On the bottom of the render you can see edge of the stone model, just saying. Thank you for telling it to me. I didn’t notice that before you told it to me. Great work! Very realistic. 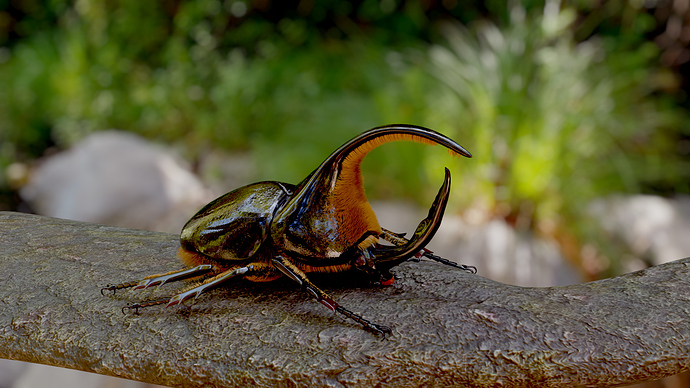 It really looks like the Chalcosoma atlas I used to work with, main difference is Dynastes satanas has ‘hair’. What is the difference between the two images? Depth of field? I think main difference between Chalcosoma atlas and Dynastes satanas is hair of Thorax and color of exoskeleton (I do not know this name is correct). Dynastes satanas is hairier than Chalcosoma atlas. Chalcosoma atlas has metallic and a little greenish color. First image is postprocessed image, second one is raw imge. 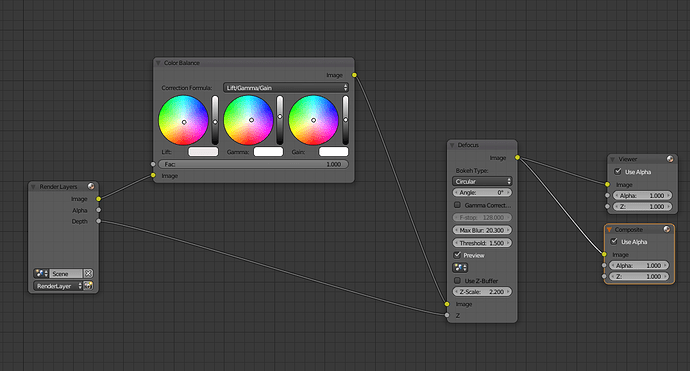 The composite node is very simple, I used only Color Balance and Defocus(Depth of field). 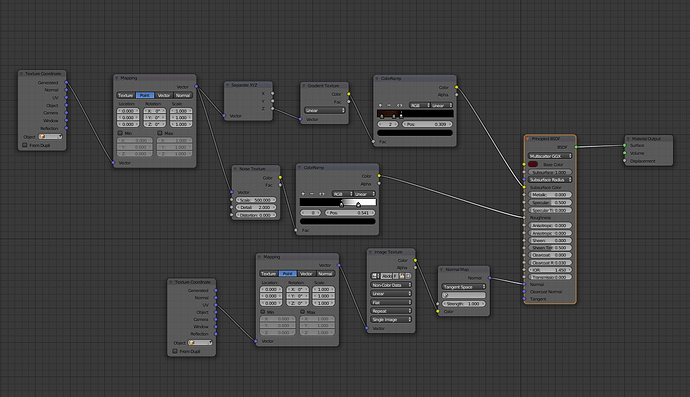 The material settings are very simple. I show you setting of material of thorax as an example, but the materials for the abdomen, head, legs etc. are almost the same. I added simple soft detail by sculpt and baked it to normal map. I am very happy that you are interested in the details of my render. Thank you very much for the info!! 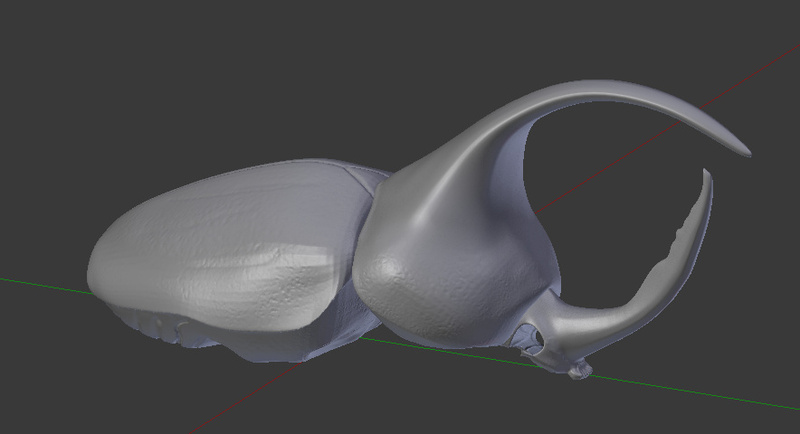 The image of the unrendered model shows the details of the mouth parts. I’m impressed by the accuracy (not just the mouth parts, but everything). Is the background an HDRi or models? Wow - great that you can get such a realistic texture from a (relatively) simple node setup! It’s HDRI image Topanga Forest B I got from here(http://www.hdrlabs.com/sibl/archive.html). I am relatively satisfied with this result.